I love the opaqueness of the box art. It hammers home the feeling of exploring a cavern, even if the gameplay isn’t totally represented as such. 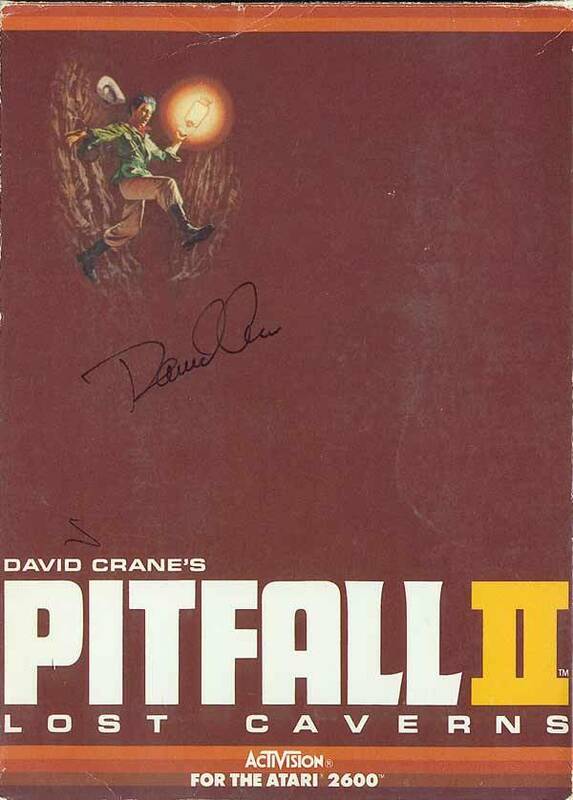 Pitfall II: Lost Caverns is the sequel to one of the most popular and prolific games on the Atari 2600. Released in 1984 for that platform and a handful of others, Lost Caverns is even more advanced and expansive than its predecessor. While the core gameplay of tracking down treasure via exploration and platforming is the same, there are many differences from the first game. Players are no longer racing against the clock to complete the game, nor are they limited by a set number of lives. This time around, when the player is injured, they’re taken back to the most recent checkpoint; Harry has an infinite life as it were. This makes it less of a burden to explore the caverns that Harry has found himself in, although that doesn’t make it an easy game. Thanks to the game’s setting, it’s logical that the environment is deeper than it is wide. The caverns are eight screens wide but an astonishing 24-plus levels deep; because of this, Lost Caverns offers a style of platforming not seen in Pitfall! – vertical movement. Personally, I found it had a lot in common with Metroid, a game I played through and mapped out shortly before starting My Brain on Games. Again, because of the verticality of Lost Caverns, there’s much tougher navigation due to the increased possibilities for dead ends and tricky ways to enter rooms. Lastly, just jumping and evading enemies is a challenge. Even in Pitfall!, I was surprised by how accurate players had to be when jumping over enemies. I felt like I had to wait until the very last moment to successfully complete jumps. It’s no different in this game, but it seems like there’s increased risks from flying enemies. Evading these requires a keen eye on their patterns and swift timing to take advantage of their upward movement. 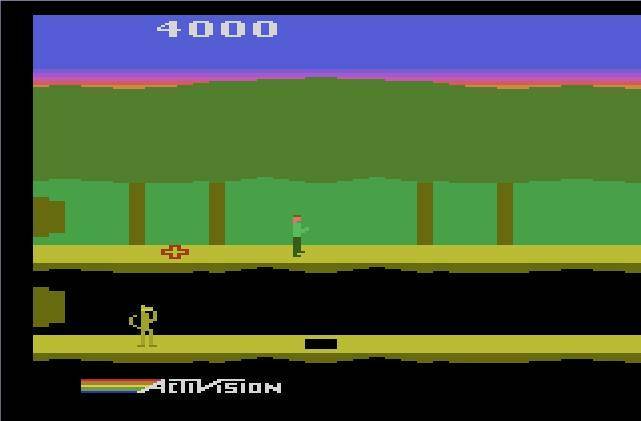 Pitfall II: Lost Caverns is very appealing to me. The expansive environment is begging to be mapped out on graph paper and the elimination of a time limit and set number of lives should make it a more manageable task. More than that though, it’d be an entertaining and challenging trial. The red cross represents a checkpoint and that feller down there is Quickclaw, Harry’s cowardly cat. When played in Activision Anthology, achieving scores of 45,000 and 99,000 points will unlock a new gameplay mode and patch. Again, this patch requirement matches what player’s originally had to strive for.